← No Progress? No Problem! Try this variation of the “word association” game. 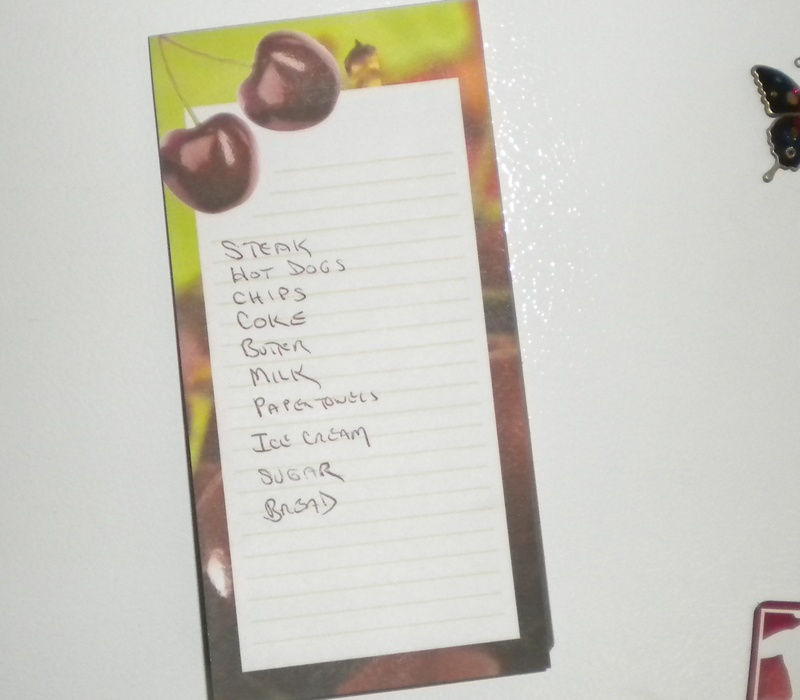 Take a piece of paper and quickly write down the 8 or 10 most frequent foods that you eat. What are your regulars? What do you chow down on almost every day? These will obviously be the items that you end up putting in your shopping cart when you are at the market, even if you have big plans about radically improving your diet. It’s a habitual, automatic process. Most people “plan” their meals while strolling the isles of the local supermarket. It’s a good strategy, right? After all there is so much to choose from, right in front of you. The ideas will come a flowin’ and you’ll think up a culinary work of art when you get home. This all sounds great on paper, but what usually ends up happening? Due to time restraints, impatience or fatigue from a hard day – you revert back to your habitual buying patterns and pick up the same old things. Does this sound like your routine? The obvious conclusion is that the grocery store is no place to plan meals, especially if you are hungry! If you wish to make an easy and enjoyable transition to healthy dining, take ten minutes right before you head out and think of the meals you wanted to try. List the ingredients so you wont have to rack your mind when bucking the crowd at the store. You’ll find that this will garner you a net savings in time and aggravation, and actually make those healthy eating plans a reality. Incidently, my own 10 most frequent foods list was this: Milk, fish, broccoli, chicken, turkey, carrots, corn, oj, nuts and blueberries…….. This entry was posted in Diet, Weight Loss and tagged diet, food, food enjoyment, groceries, health, shopping list. Bookmark the permalink.